The game features the ability to explore the in-game world, and complete both main missions and optional side quests, either in single-player or online cooperative gameplay, with the latter providing additional options for duels and competitive PVP matches in designated areas. Gameplay features include access to various weapons and shields that vary in type and statistics, weapons with special elemental functions, each playable character having distinctive class types and unique abilities for combat, upgradable skills, and the use of two-person vehicles. The game itself is rendered in cartoon-style, cel-shaded graphics, to provide greater detail on weapons and environments, and was inspired by various action role-playing games of the time, such as Ultima and Diablo. Borderlands received favourable reviews upon its release, and sold over two million units by the end of 2009. Its success spawned four DLCs - The Zombie Island of Dr. Ned in November 2009; Mad Moxxi's Underdome Riot in December 2009; The Secret Armory of General Knoxx in February 2010; and Claptrap's New Robot Revolution in September 2010 - and a sequel, Borderlands 2, on September 2012. A remastered version for PC, PlayStation 4 and Xbox One – Borderlands: Game of the Year Edition – was released on April 3, 2019. Borderlands includes character-building elements found in role-playing games, leading the developer Gearbox Softwareto call the game a "role-playing shooter". At the start of the game, players select one of four characters, each with a unique special skill and with proficiencies with certain weapons. From then on, players take on missions assigned through non-player characters or from bounty boards, each typically rewarding the player with experience points, money, and sometimes a reward item. Players earn experience by killing both human and non-human foes and completing in-game challenges (such as getting a certain number of kills using a specific type of weapon). As they gain levels from experience growth, players can then allocate skill points into a skill tree that features three distinct specializations of the base character; for example, Mordecai can become specialized in sniping, gunslinging with revolvers, or using his pet Bloodwing to assist in kills and health boosting. Players can distribute points among any of the specializations, and can also spend a small amount of in-game money to redistribute their skill points. Players start the game with the ability to equip two weapons but later gain up to four weapon slots, as well as slots for an energy shield, a grenade modification, and a class modification. Items collected can be sold back at vendors for money that then can be used to buy better items. One of the key features of Borderlands is the randomly generated weapons and items created either as dropped by enemies, found in storage chests about the game, on the ground, sold at vendors in the game, or as quest reward items. The game uses a "Procedural Content Creation System" to create these weapons and items, which can alter their firepower, rate of fire, and accuracy, add in elemental effects such as a chance to set foes on fire or cover them in burning acid, and at rare times other special bonuses such as regenerating the player's ammo. A color-coded scale is used to indicate the rarity of the weapon or item. It was estimated that the random system could generate over 17 million variations of weapons, but actually only resulted in a little over 3,500,000. The Procedural system is also used to create the characteristic of random enemies that the player may face. This allows for enemies of the same species to have widely varying attacks: for example, variations of "spiderants" in the game could leap around and would jump onto players' faces, while another variant can roll up into a ball and attack people, depending on the content generator. The game can be played alone, but also supports two-player cooperative play through split-screen (on consoles), and up to four players playing cooperatively online or over LAN. The game follows the progress of the host player, rewarding the other active players for completion of quests for their characters. If the other players are doing the same quests in their campaign, the completed quests remain the same in their campaign as well as the host's. When more players are present, the game alters the statistics of the generated enemies, balancing the game due to the larger number of players. Players can take part in one-on-one duels anywhere in the game world, or can visit arenas in the game world to participate in free-for-all, 2-on-2 or 3-on-1 combat battles with their fellow players. The original title as shipped for Microsoft Windows used GameSpy servers for multiplayer modes; as a result of GameSpy's shutdown in 2013, 2K Games patched the game and moved the servers to Steam, as well as providing Steam-versions of the game for those that purchased the title through retail channels. Borderlands is set in the distant future, at a time when various mega-corporations seek control of various planets to colonise and mine for their mineral wealth. Prior to the events of the game, the Atlas Corporation, one of the major mega-corporations, uncovered an ancient alien vault filled with advanced weapons technology, allowing them to rapidly overtake their competitors. Finding similar ruins of the same alien architecture on the planet Pandora, Atlas sought to settle the planet in hopes of finding more alien technology, but were forced to abandon their plans due to a failure to find any alien technology on the surface, and being unprepared for the dangerous wildlife coming out of its winter hibernation during their stay. After their departure, the Dahl Corporation, another mega-corporation, colonized the planet to secure its vast deposits of minerals, using large amounts of convict labor for the mining operations, while initiating their own search for a vault. Their research team's efforts to find the vault were headed up by Patricia Tannis, a respected xenoarchaeologist. Despite losing all of her colleagues to the planet's wildlife and being driven partially insane herself, Tannis found proof that a vault existed on Pandora. Her news was intercepted by Atlas, who sent its private military force, the Crimson Lance, to kidnap Tannis and get the vault's location from her. Faced with their invasion, Dahl abandoned the planet, taking only the wealthy colonists with them, and leaving the remaining population to scavenge for a living amongst the barren wastelands and industrial trash heaps across the planet. To make matters worse, the convict labor was allowed to go free, leading them to form gangs of bandits that terrorize the local populace. Despite the circumstances, the vault transformed into a legend that attracts mercenary "Vault Hunters" to the planet. There are four playable characters in the game that players can choose to play as: Brick - a large, powerful man, who operates as a Berserker; Lilith - a woman with powerful mystic abilities, operating as a Siren; Mordecai - a skilled marksman with an avian companion named Bloodwing, operating as a Hunter; and Roland - a former member of the Crimson Lance, operating as Soldier. Each character's class defines the style of weaponry they specialise in, along with the unique skill they can use - Brick can enter a rage state for increased melee strength and a short period of health regeneration; Lilith can turn invisible to enemies, moving much faster in this state, and capable of shock blasts when entering and exiting this state; Mordecai can call his companion to attack enemies in his crosshairs; and Roland can utilize an automated turret to take on enemies, and provide additional cover. Borderlands begins some time after the Dahl Corporation's abandonment of the planet Pandora. Four Vault Hunters (Brick, Lilith, Mordecai and Roland) arrive in search of the fabled Vault. After discovering the town of Fyrestone, the Vault Hunters begin to receive instructions from an image of a mysterious woman known as the "Guardian Angel" (Jennifer Green). The Vault Hunters meets a "Claptrap" robot (David Eddings) and a man named Dr. Zed (Ric Spiegel) who help the Vault Hunters establish a reputation by killing several bandit leaders, eventually leading to the collection of the first alien artifact needed to open the Vault. This causes Patricia Tannis (Colleen Clinkenbeard), Dahl's former archaeologist still in residence on the planet, to contact the Vault Hunters, revealing that the Vault can only be accessed once every 200 years and that the time of the next opening is approaching. Tannis also explains that three more artifacts are needed to complete the Vault Key. Meanwhile, Commandant Steele (Lani Minella) of the Crimson Lance (a well-outfitted mercenary force hired by the Atlas Corporation) threatens to declare martial law and demands the Vault Key pieces. The Vault Hunters secure the second and third pieces by following Tannis' instructions, but the final piece, supposedly in the possession of the leader of Pandora's bandits, turns out not to be where it was expected. Steele contacts the Vault Hunters to reveal that there are in fact only three pieces and that Tannis has betrayed and misled them. Steele then disables the planet's ECHO network, preventing further communication with the Guardian Angel and anyone else. The Vault Hunters infiltrate the Crimson Lance's headquarters and find Tannis imprisoned. She claims she was forced into betrayal and urges the Vault Hunters to restart the ECHO network and stop Steele and the Crimson Lance before they reach the Vault. After restoring the network, the Guardian Angel directs the Vault Hunters toward Steele's location. During the final approach to the Vault, the Vault Hunters encounter Crimson Lance forces already locked in combat with the Vault's alien Guardians. The Vault Hunters finally arrive at the Vault only moments too late to stop Steele from using the Key. When the Vault opens, a giant monster emerges and wipes out Steele and the rest of her troops. The Guardian Angel explains that the monster is called "the Destroyer" and was imprisoned in the Vault long ago by the alien Eridians in order to prevent the destruction of the universe, and that the Guardians were posted to prevent anyone from opening it. Although the Vault Hunters defeat the monster, the Vault is re-sealed for another 200 years. The Guardian Angel is revealed to be transmitting her signals through a Hyperion satellite in orbit high above Pandora. The game ends with the satellite sending a signal to a Claptrap robot on the planet, changing it into an "Interplanetary Ninja Assassin" (continued in the plot of the DLC Claptrap's New Robot Revolution). Gearbox's Randy Pitchford said that the idea of Borderlands was inspired both being an avid role-playing game fan, including roguelikes such as NetHack and action role-playing games like Ultima and Diablo, and being drawn into first-person shooters that he worked on in his early career, including Duke Nukem 3D. He recognized that the core gameplay loops for both genres are at different time scales; whereas the core loop for a role-playing game is long in terms of leveling up characters, a shooter has a much shorter one in moving and shooting to clear out a new area. Pitchford felt these two loops were not mutually exclusive due to the different time scales, and believed some type of fusion could be made from the two genres, thus forming the basis of Borderlands. Pitchford recognized this could be a risk but was not afraid to take it: in a 2017 interview, Pitchford recounted that industry analyst Michael Pachter had believed Borderlands was going to be a failure, as players that would want to play a role-playing game or a shooter would more than likely play a game dedicated to that genre instead of the hybrid. After the Borderlands series had sold more than 30 million copies, Pachter admitted to Pitchford how wrong he had been. Gearbox did not have the narrative defined at the onset of development for Borderlands, but needed to find some reason to have the player feel rewarded about killing enemies and collecting loot from them. As they developed the game further, they came to the idea of casting the player as a "vault hunter", so that looting equipment and other items would be "kind of virtuous". This led to the Pandora narrative, since the act of opening a vault or box to obtain potentially disastrous results was compared to the mythological Pandora's box. Borderlands runs on a modified Unreal Engine 3. The developers decided that their original, cel shaded-style concept artwork would suit the game better than a more realistic, polished method. This method produces cartoon-like action visuals and also enables the landscape and weapons to be highly detailed. The original art director was so disappointed at her work being scrapped that she left the company. It was later acknowledged by Randy Pitchford that the art style was not entirely original to Gearbox, and was inspired by Ben Hibon's short film Codehunters. Hibon has stated that while he was contacted by Gearbox to possibly work on artwork for Borderlands, nothing ever came of the talks. Borderlands was first revealed in the September 2007 issue of Game Informer magazine. Elements that were planned at the time of that cover story but that did not make the final game included procedurally generated "loot caves", and the ability to hire non-playable character mercenaries to help in combat. Further, the game initially had three Vault hunters; Brick had not been included yet, as Gearbox thought that it would be interesting in the co-op to have two or more players playing the same characters but with persistent improvements that the players had made to them. The retail downloadable content packs which includes the first two episodes of Borderlands downloadable content: The Zombie Island of Doctor Ned and Mad Moxxi's Underdome Riot was released on February 23, 2010, in North America. 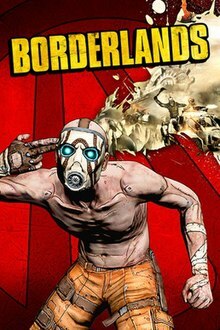 The first Game of the Year Edition, released on October 12, 2010, in North America, included the original Borderlands game, one-time use vouchers for all 4 of the downloadable content packs, and a hand drawn bonus map. Players who bought this edition gained access to the Duke Nukem Forever First Access Club, granting them exclusive items, including early access to the Duke Nukem Forever playable demo before it was publicly released. The second Game of the Year version included all 4 of the DLCs on a second disc on Xbox 360, and on the same disc on PlayStation 3. The Zombie Island of Dr. Ned is the first installment of downloadable content (DLC) for Borderlands and includes new quests, items, and enemies—including WereSkags and various zombies. The storyline takes place in an area known as Jakobs Cove which is a small town built by the Jakobs Corporation. Dr. Ned had been in charge of keeping the workers of Jakobs Cove alive, but ended up transforming them into zombies. The main plot revolves around finding previous visitors to Jakobs Cove and investigating Dr. Ned himself after the Jakobs Corporation become suspicious of his work. The playable area includes a large outdoor map with several further areas branched from the main zone—including a dark, abandoned version of previous area 'Old Haven'. The installment was released for the Xbox 360 and PlayStation 3 versions on November 24, 2009, which was celebrated with a trailer. The PC version was released via Steam with SecuROM on December 9, 2009. Mad Moxxi's Underdome Riot is the second piece of DLC for Borderlands. It features three new riot arenas (Hellburbia, the Gully and Angelic Ruins) and storage for players' items. The plot of the DLC is Moxxi, a crazed lover who is setting out to find her 4th husband, leading her to make the arenas in the DLC. Players fight several of the game's enemies, including bosses, in arenas. No experience is gained from killing enemies in the arena battles, but experience can be gained from completing challenges or quests in the arena. New game modes are added, such as low gravity fighting, enemy health regeneration, and shieldless fighting. It was released on December 29, 2009, for the Xbox 360 and was released January 7, 2010, for the PlayStation 3 and PC. The Secret Armory of General Knoxx was unofficially announced on January 21, 2010, via the official Gearbox forums, posted by Gearbox level designer Jason Reiss saying the pack will increase the level cap to level 61, and is "the biggest DLC we have made". A tweet by Gearbox creative director Mike Neumann on January 21, 2010, said the pack would also include "more Scooter", who is a character in the game. This was followed by an official announcement from Gearbox via Gearboxity on January 29, 2010, confirming the release, level cap increase, brand new weapons, and "brutal, never-before-seen enemies in a huge new environment complete with tons of brand new missions" according to Gearbox, developer of the game. The plot of this DLC revolves around Athena, a rogue agent for Atlas who is self-described as the best, a woman sick of Atlas's lies who wants to bring them to their knees, and General Knoxx (Steele's superior), a man with extreme loathing for his job to the point of literally hating his life, who is tasked to destroy Athena and the protagonist(s). Along the way you also run into Moxxi who aids the player in taking on Atlas as well (if you help her face down her ex-husband) and Scooter, who reveals he is related to Moxxi. The DLC package became available February 23 for Xbox 360, and February 25 for PlayStation 3 and PC. On March 3, 2010, 2K officially announced a fourth piece of downloadable content, stating that they will "continue to support the title with more add-on content, and our approach to digital content for Borderlands gives [Take-Two] a road map for other titles going forward." On July 15, 2010, General Knoxx's Twitter page was updated for the first time in months, stating that he had "new orders (sent from the future)" On July 30, 2010, Randy Pitchford, Co-founder of Gearbox Software and current CEO, announced via Twitter regarding the content "I get a LOT of questions about more DLC for Borderlands. Yes, more is coming! T2 already said so! Let's talk soon :)" On August 5, 2010, a long list of content that was supposedly going to be included in the content was posted on the Gearbox Forums by forum user Legendrew. The data was gathered from files in the 1.31 update for the PC version of Borderlands. On August 11, 2010, 2K confirmed the title of the content, Claptrap's New Robot Revolution, and its main premise. The DLC has 21 missions (split between 9 main missions and 12 side quests), 2 new skill points, and six additional backpack slots. The game focuses around a rogue army of brainwashed Claptraps (led by CL4P-TP, Interplanetary Ninja Assassin, the same Claptrap that is seen getting struck by lightning just after the end credits of the main game) who plan to destroy humanity for their mistreatment, along with an army of familiar enemies transformed into Claptrap styles (i.e., Crab-Traps, Rakk-Traps, and Skag-Traps). A wide variety of old cast members return alongside new faces. New fast-travel destinations were also expected, a first for Borderlands DLC, but ultimately they were not included. On September 5, 2010, Pitchford announced at the Penny Arcade Expo that the release date was scheduled to be September 28, 2010. Pitchford also announced a free patch to increase the level cap by 8 for all players (to a maximum of Level 69, or 58 for those without Knoxx's Armory), regardless of whether the expansion had been purchased. In conjunction with the announcement of Borderlands 3 in March 2019, Gearbox announced an enhanced version of Borderlands, called Borderlands: Game of the Year Edition, for Windows, PlayStation 4 and Xbox One, which was released on April 3, 2019. In addition to improving the graphics options with 4K resolution textures and HDR support, the enhanced version backported improvements from Borderlands 2 (such as replacing the compass display with a minimap, and additional character customization), and a harder final boss. It also expanded its local co-operative play for up to four players via split-screen. The enhanced version also contains all DLC from the original game. The enhanced version was a free update for those that already had owned Borderlands on Windows via Steam. Borderlands received positive reviews. Aggregating review websites GameRankings and Metacritic gave the Xbox 360 version 85.83% and 84/100, the PlayStation 3 version 84.07% and 83/100 and the PC version 80.86% and 81/100. In late 2011, Borderlands was named 35th on IGN's Top 100 Modern Video Games list. Jeff Gerstmann from Giant Bomb gave Borderlands 4 stars out of 5, called it a successful loot-driven first-person shooter "where plenty of other Diablo-inspired games have failed miserably", but criticized the "paper-thin story" and the predictable AI. Charles Onyett from IGN awarded Borderlands an 8.8/10 and an Editor's Choice Award. He noted that fans of RPGs would enjoy the streamlined item management, and treasure hunting, but criticized the lack of character skills. With "beautiful visuals, tried and true RPG mechanics, and solid first-person-shooter gameplay", Onyett felt that the game was very enjoyable. RPGLand's Ivan Taran gave it a rating of "Great" and the game went on to win the site's Xbox 360 Game of the Year award, and be named the Runner-up for overall Game of the Year 2009, losing out to Demon's Souls. In late August 2009, Electronic Entertainment Design and Research analyst Jesse Divnich said "Borderlands could very well surprise the market and consumers as BioShock did in 2007." By December 2009, the game had sold over 2 million copies according to Take-Two Interactive's financial report. By February 2010, the number had risen to 3 million. By August 2011, the game had sold 4.5 million units worldwide. A sequel, Borderlands 2, was announced on August 2, 2011 for the PlayStation 3, Xbox 360, and Microsoft Windows platforms. The game was also developed by Gearbox Software and distributed by Take-Two Interactive, and was released on September 18, 2012. The game features many technical improvements and follows four new characters (or six, if the downloadable characters are counted) on Pandora as they battle Handsome Jack and the Hyperion Corporation. ^ a b c Thorsen, Tor (July 22, 2009). "Borderlands lands Oct 20". GameSpot. Archived from the original on June 13, 2011. Retrieved July 23, 2009. ^ a b Haynes, Jeff (September 22, 2009). "Borderlands Gets Slightly Delayed". IGN. Retrieved July 6, 2016. ^ "Borderlands GOTY version heading to Mac on December 3". ^ "Borderlands: Game of the Year Official Trailer". ^ "Play Borderlands PC Game - SHIELD GAMES". SHIELD. Retrieved December 27, 2018. ^ "Preview: Borderlands". destructoid. Retrieved December 27, 2018. ^ "Feral Interactive: Borderlands: Game of the Year Edition". ^ McWhertor, Michael (March 28, 2019). "Borderlands remaster coming to PC, PS4, and Xbox One in April". Polygon. Retrieved March 28, 2019. ^ a b c Nick Ahrens (August 14, 2007). "Game Informer September Cover Revealed it has fun online too!". Game Informer. Archived from the original on August 26, 2007. Retrieved August 15, 2007. ^ Dan Chiappini (July 27, 2009). "Borderlands Hands-On Impressions". GameSpot. ^ Fruhstick, Russ (July 28, 2009). "'Borderlands' Has 3,166,880 Different Weapons". MTV Multiplayer. Archived from the original on July 31, 2009. Retrieved August 4, 2009. ^ "Randy Pitchford on Borderlands' 17 million guns". ^ Breckon, Nick (June 4, 2009). "Borderlands E3 Impressions: Style, and Substance". Shacknews. Retrieved August 4, 2009. ^ Buckland, Jeff (December 6, 2009). "E3 09 Preview: Borderlands – Free video game downloads, news, reviews, videos, patches, demos, screenshots and more at AtomicGamer". Atomicgamer.com. Archived from the original on June 16, 2009. Retrieved August 3, 2012. ^ "Borderlands – GC 09: Randy Pitchford Interview". Gametrailers. Retrieved August 3, 2012. ^ Phillips, Tom (July 29, 2014). "Borderlands PC multiplayer to be returned online via Steam". Eurogamer. Retrieved July 29, 2014. ^ a b c d Walden, Matthew (January 25, 2017). "Gearbox Software's Randy Pitchford Talks Nintendo Switch, 'Overwatch' and Being Fearless". Glixel. Retrieved January 25, 2017. ^ Sliwinski, Alexander (May 1, 2009). "A bunch of totally not cel-shaded Borderlands images". Joystiq. Retrieved November 2, 2010. ^ "Has Borderlands Gone To Cel-Shaded Graphics?". Borderlands Guide. April 8, 2009. Archived from the original on November 10, 2010. Retrieved November 2, 2010. ^ Tor Thorsen. "Behind Borderlands' 11th-hour style change". GameSpot. Retrieved October 13, 2014. ^ "Separated At Birth: Borderlands And CodeHunters". Kotaku. January 8, 2010. Retrieved November 13, 2012. ^ "Pound of Flesh". Gather Your Party. November 12, 2012. Retrieved November 13, 2012. ^ Marchiafava, Jeff (September 7, 2017). "See How Much Borderlands Changed By Reading Our Original 2007 Cover Story". Game Informer. Retrieved September 8, 2017. ^ "Borderlands DLC bundled in retail package". Joystiq. Retrieved November 18, 2010. ^ "Gearbox Announces Borderlands Game of the Year Edition". Teamxbox. Archived from the original on September 3, 2010. Retrieved August 31, 2010. ^ "Buy Borderlands GOTY, Get Early Duke Nukem Demo". The Gaming Liberty. Archived from the original on October 17, 2010. Retrieved October 5, 2010. ^ "Zombies Invade Borderlands". IGN. October 15, 2009. Retrieved July 6, 2016. ^ "First Borderlands DLC Announced". GameTrailers. ^ "Borderlands: The Zombie Island of Dr. Ned on Steam". Store.steampowered.com. Retrieved August 3, 2012. ^ Owen Good. "Week in Games: Bayonetta Fix". ^ "Guess What!! – The Gearbox Software Forums". Gbxforums.gearboxsoftware.com. January 21, 2010. Archived from the original on April 26, 2012. Retrieved August 3, 2012. ^ "Twitter / mikeyface: I'ma leak something too then:". Twitter. Retrieved August 3, 2012. ^ Jim Reilly (February 22, 2010). "The Secret Armory of General Knoxx Priced, Dated". Retrieved July 6, 2016. ^ Reilly, Jim (March 3, 2010). "Take-Two Confirms More Borderlands DLC". IGN. Retrieved July 6, 2016. ^ "Randy Pitchford (@DuvalMagic) op Twitter". Twitter. Retrieved August 3, 2012. ^ "Patch DLC Forums". Archived from the original on April 26, 2012. ^ Alice O'Connor. "Borderlands DLC 'Claptrap's New Robot Revolution' Announced". ^ Chris Pereira. "Claptrap Revolution Confirmed as New Borderlands DLC". Archived from the original on September 23, 2011. ^ Reilly, Jim (September 5, 2010). "Borderlands Clap Trap DLC Dated, Level Cap Increases". IGN. Archived from the original on September 7, 2010. Retrieved September 5, 2010. ^ Chris Pereira. "Borderlands Getting Free Level Cap Increase". Archived from the original on July 22, 2012. ^ "Title Update 1.41 – Updated 10/27 (Formerly known as 1.50) – The Gearbox Software Forums". Gbxforums.gearboxsoftware.com. Archived from the original on April 26, 2012. Retrieved August 3, 2012. ^ Roberts, Samuel (March 28, 2019). "Borderlands: Game of the Year Edition is a free upgrade for existing PC players". PC Gamer. Retrieved March 29, 2019. ^ a b "Borderlands (X360)". GameRankings. Retrieved November 7, 2009. ^ a b "Borderlands (PS3)". GameRankings. Retrieved November 7, 2009. ^ a b "Borderlands (PC)". GameRankings. Retrieved February 27, 2010. ^ a b "Borderlands for Xbox 360 at Metacritic". Metacritic. Retrieved November 7, 2009. ^ a b "Borderlands for PlayStation 3 at Metacritic". Metacritic. Retrieved January 8, 2010. ^ a b "Borderlands for PC at Metacritic". Metacritic. Retrieved February 27, 2010. ^ "Borderlands". Game Informer. October 19, 2009. Retrieved October 19, 2009. ^ "Borderlands – GamePro". GamePro. Archived from the original on January 1, 2010. Retrieved February 27, 2010. ^ "GameSpot Xbox 360 Review". GameSpot. Archived from the original on March 18, 2009. ^ "GameSpot PC Review". GameSpot. Archived from the original on March 12, 2010. ^ "GameSpot PS3 Review". GameSpot. Archived from the original on January 23, 2013. ^ "The Consensus: Borderlands Review". GameSpy. October 20, 2009. Retrieved November 7, 2009. ^ "Borderlands". Giant Bomb. Retrieved October 17, 2009. ^ a b "Borderlands Review". IGN. October 19, 2009. Retrieved July 6, 2016. ^ "OXM Review". OXM. Archived from the original on November 13, 2013. ^ "TeamXbox". TeamXbox. Archived from the original on June 24, 2012. ^ "Borderlands – No. 35 Top Modern Games". IGN. October 20, 2009. Retrieved August 3, 2012. ^ "Borderlands Review". GiantBomb. October 18, 2009. Retrieved October 19, 2009. ^ "RPGLand.com Borderlands review". RPGLand. Retrieved January 13, 2010. ^ "RPGLand.com RPGs of the Year 2009". RPGLand.com. Retrieved January 17, 2010. ^ "Take Two 'grossly underestimated' by gamers, retailers-Analyst". Gamespot. August 27, 2009. Archived from the original on July 14, 2012. Retrieved January 11, 2010. ^ "'Borderlands' sales top 2 million". Edge Online. December 17, 2009. Retrieved November 19, 2009. ^ "Borderlands sells 3 million units; Pitchford discusses Gearbox hiring policy, Gamertag". February 19, 2010. Retrieved March 13, 2010. ^ Magrino, Tom; Makuch, Eddie (August 8, 2011). "Take-Two sales sink 12% in June quarter". GameSpot. CBS Interactive Inc. Archived from the original on September 20, 2011. Retrieved August 10, 2011. ^ Matthew DeCarlo (August 8, 2011). "More information about Borderlands 2 revealed". Tech Spot. Retrieved August 27, 2011. This page is based on the Wikipedia article Borderlands (video game); it is used under the Creative Commons Attribution-ShareAlike 3.0 Unported License (CC-BY-SA). You may redistribute it, verbatim or modified, providing that you comply with the terms of the CC-BY-SA.